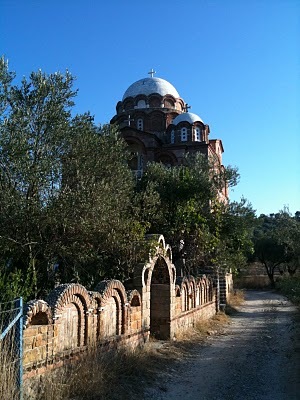 Mariza Koch's "Panagia Mou, Panagia Mou"
What About the Ground Zero Church? I set your Belt on the year’s end as adornment. On the thirty-first, they enshrined the Belt of the All-pure. According to Sacred Tradition and the history of our Church, the Most Holy Theotokos three days after she reposed rose from the dead and ascended bodily to the heavens. During her ascension, she gave her Holy Zoni (which is translated as either "Belt" or "Girdle") to the Apostle Thomas. 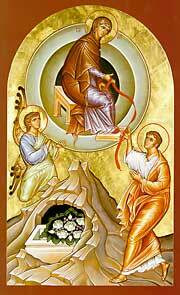 Thomas, along with the rest of the Holy Apostles, opened up her grave and didn't find the body of the Theotokos. In this way the Holy Belt is proof for our Church of her resurrection and bodily ascension to the heavens, and, in a word, of her metastasis (transposition). The Holy Zoni, according to tradition, was made by the Blessed Virgin Mary herself from camel hair. Originally it was kept in Jerusalem and later in Constantinople. 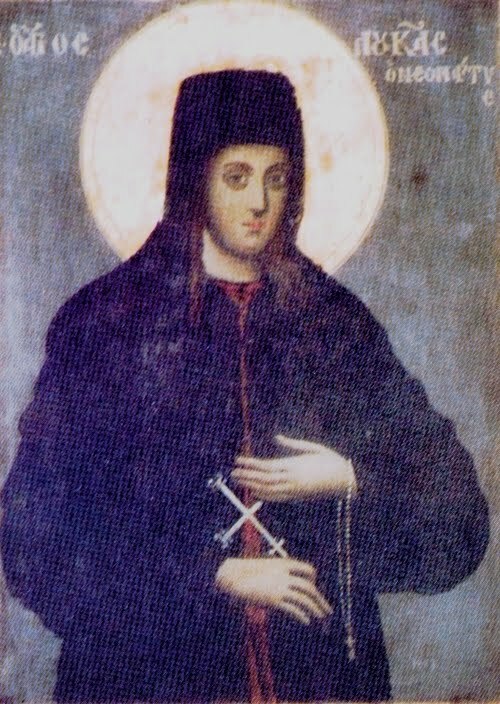 During the reign of Emperor Arkadios (395-408), the honorable Zoni of the Mother of God was brought from Zela of Cappadocia to Constantinople, and placed in the Church of the Theotokos in the section of Chalkopratia. 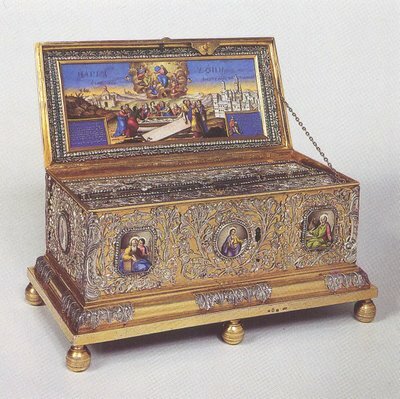 In 886 Emperor Leo VI the Wise opened the Holy Coffin (the case which contained the Zoni) for the first time since Arkadios, in order to heal his wife Zoe of being disturbed by an unclean spirit, and she was miraculously healed. Previously the Empress Pulcheria, who had a great love for the Theotokos, embroidered the Zoni with gold thread, as it is found today, but divided it in three pieces. During the 12th century under Manuel I Komnenos (1143-1180) an official feast day for the Zoni was established on August 31st, on which day it was transferred to the Blachernae Church; previously it had shared the Feast of the Robe of the Virgin on 2 July. In the 12th century, when, in the course of a defeat of Emperor Isaac by the Bulgar King Asan (1185), the Holy Zoni was stolen and taken to Bulgaria, and from there it later came into the hands of the Serbs. It was presented to Vatopaidi by the Serbian Prince Lazarus I (1372-1389), together with a large piece of the True Cross. Since then it has been kept in the sanctuary of the katholikon. Under Turkish rule, the brethren of the Monastery took it on journeys to Crete, Macedonia, Thrace, Constantinople and Asia Minor, to distribute its blessing, to strengthen the morale of the enslaved Greeks and to bring freedom from infectious diseases. Numerous are the miracles that have taken place up to today with the Holy Zoni. Its value is priceless because it's associated with the Blessed Virgin Mary. She has the grace and to her the miraculous power is attributed, which in many ways she transmits to the faithful. 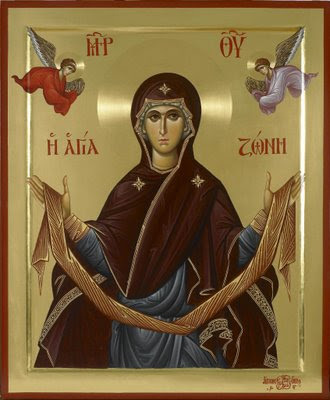 The Holy Zoni maintains unaltered the grace of the Most Holy Theotokos, because it became connected with her person and her life and because saints are Spirit-carriers during not only their life, but also after their death. The same phenomenon is mentioned in the Holy Scriptures when objects that the Prophet Elijah and the Holy Apostles wore actually performed miracles, because they had the grace of the saints. For this reason the Church attributes it honorary worship, as it does to the Holy Wood of the Cross of the Lord. 1. At one time, the inhabitants of Ainos called for the presence of the Holy Belt and the Vatopaidi monks accompanying it received hospitality at the house of a priest, whose wife surreptitiously removed a piece of it. When the fathers embarked to leave, although the sea was calm, the ship remained immobile. The priest’s wife, seeing this strange phenomenon, realized that she had done wrong and gave the monks the piece of the Belt, whereupon the ship was able to leave immediately. It was because of this event that the second case was made. The piece in question has been kept in this down to the present. 2. During the Greek War of Independence of 1821, the Holy Belt was taken to Crete at the request of the people of the island, who were afflicted by the plague. When, however, the monks were preparing to return to the Monastery, they were arrested by the Turks and taken off to be hanged, while the Holy Belt was redeemed by the British Consul, Domenikos Santantonio. From there the Belt was taken to Santorini, to the Consul’s new home. News of this quickly spread throughout the island. 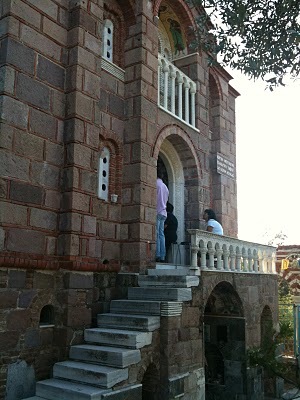 The local bishop informed the Vatopaidi Monastery and the Abbot, Dionysios, was sent, in 1831, to Santorini. The Consul asked the sum of 15,000 piastres to hand over the Belt, and the people of the island, with touching eagerness, managed to collect together the money. Thus the Holy Belt was bought back and Abbot Dionysios returned it to Vatopaidi. What had happen with the priest’s wife of Ainos was repeated in the case of the Consul’s wife. She too, unbeknown to her husband, cut off a small piece of the Holy Belt before it was handed back to the Abbot Dionysios. Within a very short period her husband died suddenly and her mother and sister became gravely ill. In 1839, she wrote to the Monastery asking that representatives should be sent to take possession of the piece which she had removed. 3. In 1864, the Holy Belt was taken to Constantinople, since there was a cholera epidemic among the inhabitants. As soon as the ship bearing it approached the harbour, the cholera ceased and none of those already suffering from it died. This strange miracle excited the curiosity of the Sultan, who had the Girdle brought to the Palace so that he could reverence it. 4. During the time when the Holy Belt was at Constantinople, a Greek of Galata asked that it should be taken to his house, since his son was seriously ill. When, however, the Holy Belt arrived at his house, his son was already dead. The monks, however, did not give up hope. They asked to see the dead boy, and as soon as the Belt was placed on him, he was raised from the dead. 5. In 1894, the inhabitants of Madytos in Asia Minor sought that the Holy Belt should be taken there because a plague of locusts was destroying their trees and crops. When the ship carrying the Girdle came into the harbour, the sky was filled with clouds of locusts, which then began to fall into the sea, so that it was difficult for the vessel to anchor. The people of Madytos, seeing the miracle, kept up a constant chant of "Kyrie Eleison" from the shore. 6. Down to our own times, the Holy Belt has continued to work many miracles, particularly in the case of infertile women, who, when they request it, are given a piece of cord from the case holding the Belt and, if they have faith, become pregnant. For more information on the Holy Belt on the island of Santorini, see here, here and here. For information on pieces of the Holy Belt in the Roman Catholic Church, see here. O Ever-Virgin Theotokos, shelter of mankind, thou hast bestowed upon thy people a mighty investure, even thine immaculate body's raiment and sash, which by thy seedless childbirth have remained incorrupt; for in thee nature and time are made new. Wherefore, we implore thee to grant peace to the world, and great mercy to our souls. Thy precious sash, O Theotokos, which encompassed thy God-receiving womb, is an invincible force for thy flock, and an unfailing treasury of every good, O only Ever-virgin Mother. Fr. Gabriel Bunge was a Benedictine monk in Switzerland who had been living the eremitical life since 1980. As a Patristics scholar, he has contributed many articles and books to numerous spiritual and monastic journals. On August 27, 2010 Fr. Gabriel converted to Orthodoxy in the presence of Metropolitan Hilarion of Volokolamsk and Metropolitan Kallistos of Diokleia during an All-Night Vigil at the Church of the ”Joy of All Who Sorrow” Icon in Bolshaya Ordynka Street in Moscow. While congratulating Fr Gabriel on this move, Metropolitan Hilarion presented him with an icon of the Mother of God called ”Joy of All the Afflicted” to which the church in which Fr Gabriel joined the Orthodox Church is dedicated. 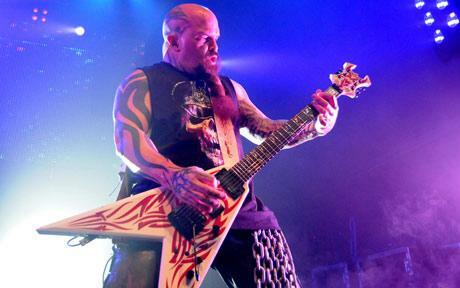 Christians could learn a lot about life from listening to heavy metal, according to a Church of England cleric. The Rev Rachel Mann claims that the much-maligned form of music demonstrates the “liberative theology of darkness”, allowing its tattooed and pierced fans to be more “relaxed and fun” by acknowledging the worst in human nature. She says that by contrast, churchgoers can appear too sincere and take themselves too seriously. The priest admits that many will be “concerned” about metal lyrics praising Satan and mocking Christianity, but insists it is just a form of “play-acting”. Miss Mann, priest-in-charge of St Nicholas’s, Burnage, writes in this week’s Church Times: “Since Black Sabbath effectively created it in 1969 by using the dissonant sound of the medieval ‘Devil’s chord’, heavy metal has been cast as dumb, crass, and on, occasions satanic; music hardly fit for intelligent debate, let alone theological reflection. Miss Mann says that heavy metal songs, characterized by distorted guitar sounds, “intense” beats and “muscular” vocals, are “unafraid to deal with death, violence and destruction”. Its “predominantly male and white” fans “generally like tattoos and piercings” but are “graceful, welcoming and gentle”. 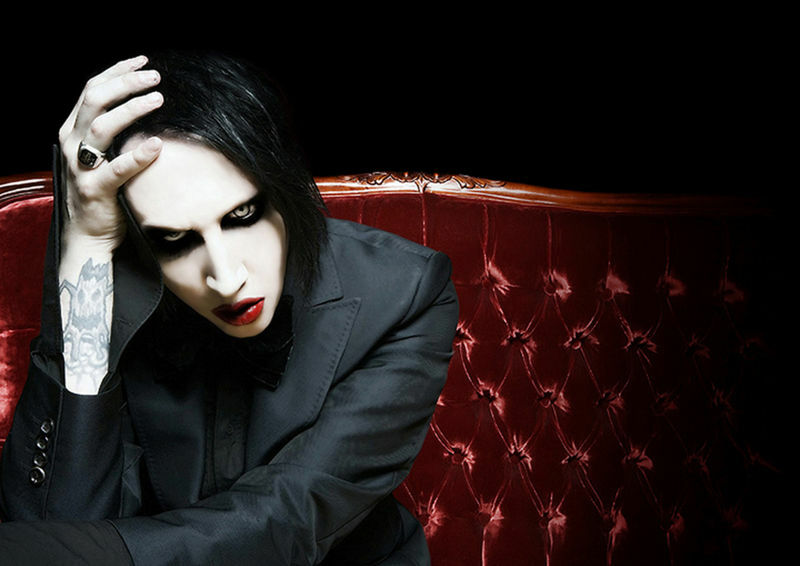 “The music’s willingness to deal with nihilistic and, on occasion, extremely unpleasant subjects seems to offer its fans a space to accept others in a way that shames many Christians. “Metal’s refusal to repress the bleak and violent truths of human nature liberates its fans to be more relaxed and fun people”. She goes on to claim that “metal has no fear of human darkness” and while some Christians are similarly unafraid, “many are yet to discover its potential as a place of integration”. But she claims: “Much of metal’s fascination with Satan or evil is play-acting, driven by a desire to shock. She says metal festivals such as Sonisphere, where she saw Iron Maiden play last month, are modern versions of the Feast of Fools held in England in the middle ages, where “excess and anarchy” were allowed for a day. Miss Mann says she worries that Anglicans have made their faith “too reasonable and ordered” rather than passionate. 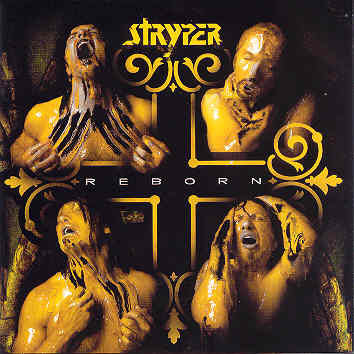 There have been Christian heavy metal bands, such as the 1980s American act Stryper and the more recent Evanescence, but few have enjoyed much critical acclaim or crossover success. By contrast many of the biggest heavy metal artists have used anti-Christian or satanic imagery in their lyrics and album covers. In the 1990s, followers of Norway’s “black metal” scene went further by burning dozens of churches. Christians do not believe in kismet, fate or destiny. Even if God determines the chief lines of our life, He, according to our prayers and merits, can change them. Thus, He prolonged King Hezekiah's life for fifteen years: "Go and say to Hezekiah, thus said the Lord, the God of David Your father, I have heard your prayer, I have seen your tears: behold I will add unto your days fifteen years" (Isaiah 38:5), and to the Venerable Dius (July 19) he likewise prolonged his life for fifteen years. God extended the life of St. Basil the Great, according to the prayer of the saint, for one day until he baptized the Jew, Joseph, his physician. But, as God can, by prayer, prolong life, so He can shorten it because of sin. Emperor Anastasius adhered to the Severian heresy, so called the Acephalites (the headless ones), who spread the foolishness that the Church does not need bishops and priests but rather that everyone unto himself is a bishop and a priest and that everyone has the right, in his own way, to interpret Holy Scripture and to teach others as he understands and believes. In vain did St. John the Patriarch counsel the emperor to return to the truth of Orthodoxy, and not only did the emperor not accept the counsel but rather ill-treated the patriarch in various ways and contemplated to have him banished. One night, the emperor saw in a dream an awesome man on an exalted throne, who held a book in his hand. This man opened the book, found the name of Emperor Anastasius and said: "I have wanted to permit you to live for a while longer but, because of your heresy, behold, I am erasing fourteen years from your life." And he erased something from the book. Terrified, the emperor jumped up from his dream and related his dream to his followers. After a few days, thunder struck the emperor's place and killed Emperor Anastasius. 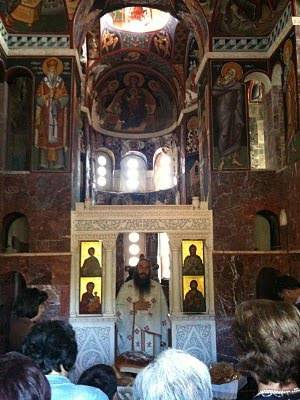 The Paromeos Monastery, also known as Baramos Monastery, is a Coptic Orthodox monastery located in the Nitrian Desert. It is the most northern monastery among the four current monasteries of Scetes, about 4 km north of the Monastery of Saint Pishoy. The name Paromeos is derived from the Coptic Pa-Romeos, which means that of the Romans. Ecclesiastically, the monastery is dedicated to the Virgin Mary and carries her name. 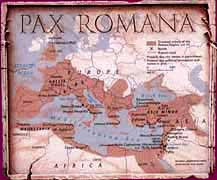 It was founded c. 335 A.D. by Saint Macarius the Great. 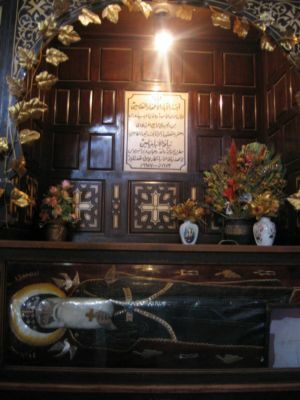 Beside Saint Macarius the Great and Saint Arsenius, other saints of the fourth and fifth century resided in the Paromeos Monastery, such as Saint Isidore, and Saint Moses the Ethiopian who was martyred at the raid of 407 A.D. During the first half of the fifteenth century, the historian Al-Maqrizi visited the monastery and was responsible for identifying it as that of Saint Moses the Ethiopian. At that time, he found it to have only a few monks. Today, the monastery still preserves much of its ancient character. It has five churches. 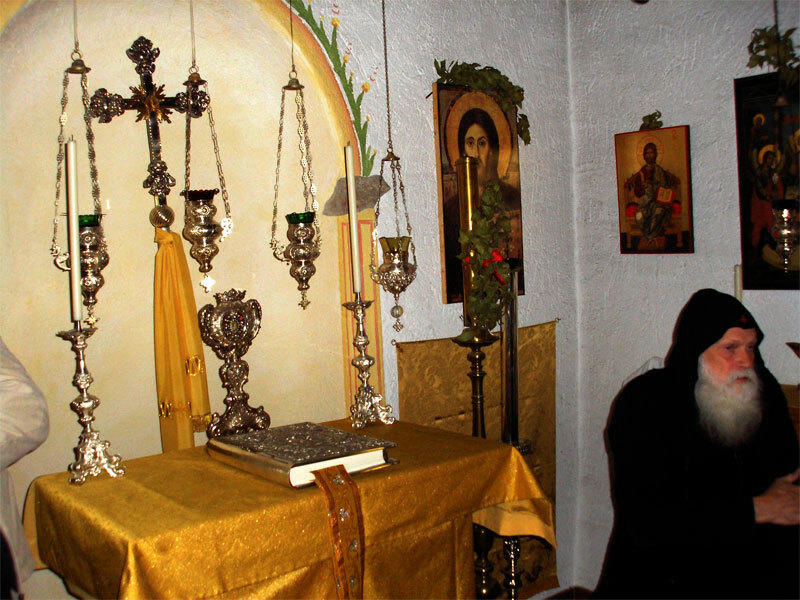 The oldest church is dedicated to the Virgin Mary and contains the relics of Saint Moses the Black (photo above). It is considered the oldest church in Scetes still in existence, dating back to the sixth century. In the desert about the monastery there are also several caves that apparently continue to be inhabited by hermits. This monastery is significant in that it was founded on a site in front (south) of the Old Baramus monastery, discovered by archaeologists in 1994, which some say was incorrectly known as "the Monastery of Moses the Black". 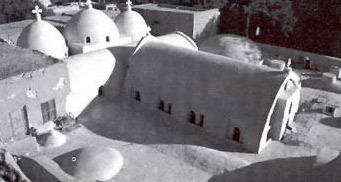 Others believe that Deir Anba Musa al-Aswad, or the Monastery of Saint Moses the Black, under the leadership of St. Isidore the Hegumen, was the original name. The older monastery probably dates to as early as 340 AD. It should be noted that there exists some confusion in regard to the current monastery's history in relationship to the old monastery. It is very possible that both existed concurrently at some point, with the former monastery known as Deir al-Baramus, and the current monastery known as the Monastery of the Virgin of Baramus, Hence, the history we have of the modern monastery certain encompasses that of both. Today the relics of St. Moses in the Church of the Holy Virgin continue to work many miracles, especially for those battling with their passions such as drunkenness. He is also known to heal the demon possessed and many exorcisms take place before his relics. For example, a young man possessed by demons was healed, and after the prayer service there could be seen on his shirt the name of Saint Moses together with a cross. 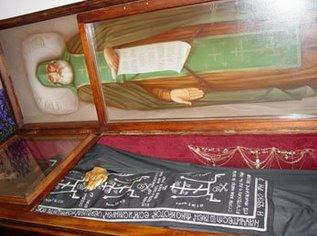 A photo of this shirt is placed next to the relics of Saint Moses as a testimony to his miraculous power. 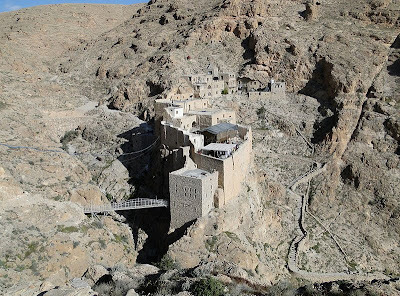 The Monastery of Mar Mousa al-Habashi (St. Moses the Ethiopian) is an active monastery in the Syrian mountains that dates from the 6th century. 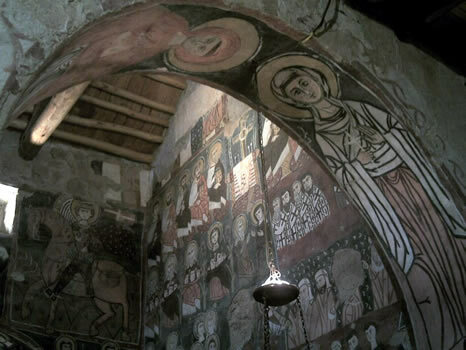 It was founded by St. Moses the Ethiopian and is known for its beautiful ancient frescoes and peaceful atmosphere. It is a monastic community of Syriac Catholic rite, situated near the town of Nabk, approximately 80 kilometers north of Damascus. The main church of the monastic compound hosts precious frescoes dating to the 11th and 12th century CE. Mar Mousa is an active monastery, housing a few resident monks who grow their own food, keep livestock, and sell various products to locals to pay for the upkeep of the monastery. It is currently headed up by Paolo dall'Oglio, an Italian Syriac monk of the Assyrian Catholic Church. 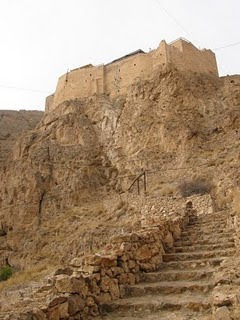 The Monastery of Mar Mousa is designed to be isolated and can only be reached by a steep climb on a winding footpath, which is reached from a winding road that begins at the town of al-Nabek. Visitors are welcomed by the monks and can overnight at the monastery. There is usually no charge for lodging except that you help with the work of the monastery during your stay. According to local tradition St. Moses the Abyssinian was the son of a king of Ethiopia. He refused to accept the crown, honors, and marriage, and instead he looked towards the kingdom of God. He traveled to Egypt and then to the Holy Land. Afterward, he lived as a monk in Qara, Syria, and then as a hermit not far from there in the valley of what is today the monastery. There he was martyred by Byzantine soldiers. 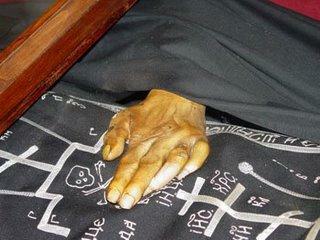 The story says that his family took his body, but that the thumb of his right hand was separated by a miracle, and was left as a relic, now conserved in the Syrian church of Nabk. The Monastery of St. Moses existed from the middle of the sixth century, and belonged to the Syrian Antiochian Rite. The present monastery church was built in the Islamic year 450 (1058 AD), according to Arabic inscriptions on the walls, which begin with the words: "In the name of God the Merciful, the Compassionate". The frescoes go back to the 11th and 12th centuries. In the fifteenth century the monastery was partly rebuilt and enlarged, but by the first half of the nineteenth century it was completely abandoned, and slowly fell into ruins. 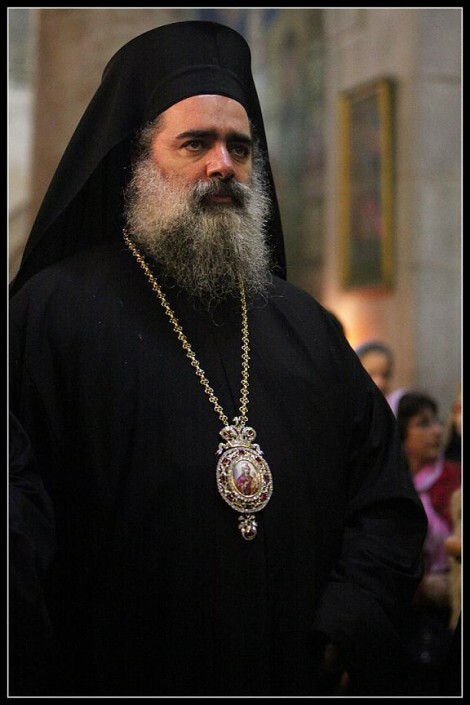 Nevertheless, it remained in the ownership of the Syrian Catholic diocese of Homs, Hama, and Nabk. The inhabitants of Nabk continuously visited the monastery with devotion, and the local parish struggled to maintain it. In 1984, restoration work began through a common initiative of the Syrian State, the local Church, and a group of Arab and European volunteers. The restoration of the monastery building was completed in 1994 thanks to cooperation between the Italian and Syrian States. An Italian and Syrian school for restoration of frescoes has been created at Deir Mar Musa and will complete the work in the context of Syrian European cooperation. The new foundation of the monastic community started in 1991. The Byzantine State sought to have Orthodoxy as its official religion and it made so many efforts to preserve Orthodox doctrine intact. Why did it do so? Simply to preserve doctrine as doctrine? Or perhaps because Orthodox doctrine in particular was a precondition for the cure of its citizens, which cure would occasion a social restoration to health through the healing of the personality of each and every citizen? More likely the latter. What was the national anthem of the Byzantine Empire? Was it not “Save, O Lord, Thy people, and bless Thine inheritance; grant victories to the emperors over barbarians, and through Thy Cross preserve Thou Thy commonwealth”? This hymn expresses the ideology — if we can call it that — of the implementation of Orthodox teaching, faith, and life within the State; that is, on a nationwide scale. Since the State foresaw the contribution to society and the benefit that would result from the Orthodox therapeutic teaching and method, if it were implemented, it instituted and promoted the Orthodox Faith as the official State religion, such that the State would be filled with parishes in which Priests would practice this therapeutic regimen. Thus, the parishes would grow with time into [communities of] healthy citizens, as would the State itself, by extension. The Church naturally did not refuse this, but rather worked in consort with the State. It so happened, however, that this power given to the Church, together with the requisite ecclesiastical administrative organization, created a public service problem as a necessary evil. That is, many who coveted public positions pretended to be Orthodox, though they were not, and the Church began to be secularized. Aside from all of these things, the Church had as its parallel task to protect the State from quack doctors, that is, from heretics. The local and Ecumenical Synods attended to precisely this. In the Acts of the Ecumenical Synods, we find the phrase: “It seemed good to the Holy Spirit and to us....” Those present at the Synods said this because they possessed noetic prayer, by which they were inwardly informed concerning the truth of the Decrees that they formulated. Today, on the other hand, when the practice of noetic prayer has grown rare among Bishops, if a Synod of Bishops were to come together and they were to stand up at the opening and all say together: “O Heavenly King, Comforter, the Spirit of Truth, Who art everywhere present and fillest all things...” would the Holy Spirit illumine them without fail? That is, simply because they are canonical Bishops, assemble at a Synod, and say a prayer? The Holy Spirit does not work this way — that is, under these conditions; others are needed. The one praying needs to have noetic prayer already working inside him, when he attends a Synod, for the Grace of God to illumine him. Those attending false synods did not have this prayerful state. The Bishops of old, however, did have such spiritual experience, and when they would come together as a Body, they knew what the Holy Spirit was informing them in their hearts on a particular matter. And, when they issued resolutions, they knew that their resolutions were sound. For they were in a state of illumination, and certain of them had even reached glorification, that is, deification. Thus, we see that in the ancient Church the charismatic element prevailed (that is, its members were governed by gifts of the Holy Spirit), and the institutional elements (that is, formal ecclesiastical and administrative qualifications) followed. This is very clear in the New Testament, in the ancient Church, and in the great Fathers of the Ecumenical Synods, from the First Ecumenical Synod (fourth century) through the Ninth Ecumenical Synod, which took place under St. Gregory Palamas (fourteenth century). This kind of testimony of the Holy Spirit within the heart is well known only to those who have noetic prayer working in their hearts. Noetic prayer is an empirical verification and assurance that a person’s mind has been cured. Such a cure is feasible for all people, as long as the spiritual preconditions of the therapeutic method are met. In other words, this method is not destined or designed only for certain monastics — that is, for certain people wearing rasa — but for all people. For nowhere in Holy Scripture does any distinction seem to be made between monastic spirituality and lay spirituality. Holy Scripture speaks of only one spirituality. Have you ever found a passage in Holy Scripture that speaks separately about the spirituality of lay people and the spirituality of the clergy? There is no such thing in Holy Scripture. Spirituality in Christ is the same for all of the faithful. This Christian spirituality is essentially a therapeutic regimen, which is offered by Christ to all people. It is designed for all people. It is not just for monastics, or the clergy, or the educated, or intellectuals, because there is no intellectualism whatsoever contained therein. Nor does it deal with the outer and visible aspects of man, but rather with the inner and hidden aspects. 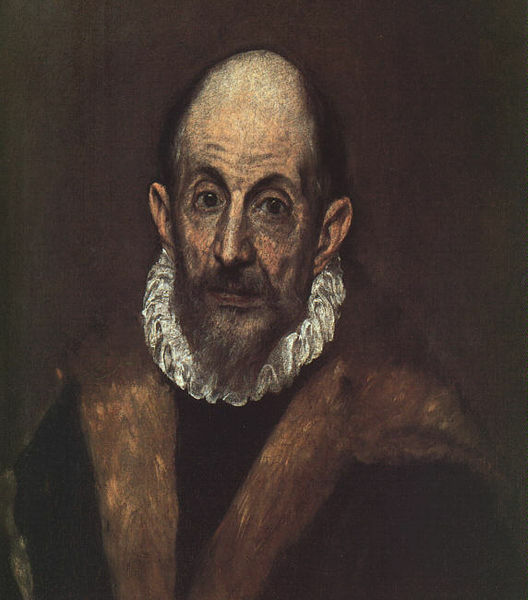 A new investigation could end many of the speculations about the works of El Greco and the man himself. 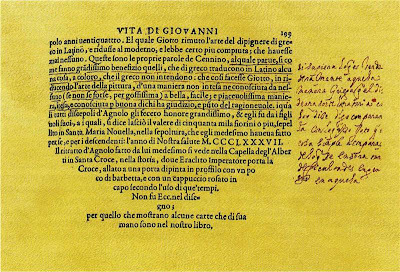 A hand-written annotation to a book, similar to the glosses of Saint Emilianus, found in Spain in a copy of Lives of the most excellent architects, painters and sculptors by Giorgio Vasari, has led Nicos Hadjinicolau, a researcher from the Institute of Mediterranean Studies, to conclude that the artist – contrary to popular belief – was a defender of Byzantine art. A new study by Greek art historian Nicos Hadjinicolau, who is a member of the Institute of Mediterranean Studies and Spain’s honorary consul in Crete, contradicts the widely-accepted hypothesis that views El Greco as a painter of Byzantine origin who assimilated and reflected the spirit of Castile after his arrival in Spain, and who was indifferent to the art of his country of origin. Part of this perception is based upon the 1908 book El Greco by Manuel Bartolomé Cossío. El Greco obtained the book from which this annotation was taken during Italian painter Federico Zuccaro’s visit to Toledo in May 1586. 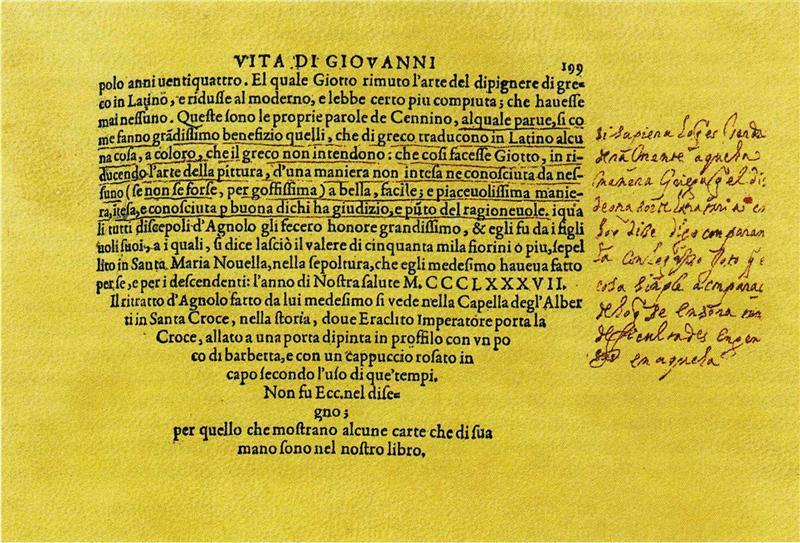 The text that the painter later handed over to his disciple Luis Tristán contained many annotations. How can it be definitively proved who wrote the note, however? Hadjinicolau says that “from a graphological point of view it is easy to compare these comments with El Greco’s signatures, and their authenticity is not in doubt, although the greatest discoveries in this field have been made by Xavier de Salas and Fernando Marías, chair at the Autónoma University of Madrid”. There is, however, a difference between Marías’ and Hadjinicolau’s translations. What the Spaniard reads as “full of deceptive difficulties”, the Cretan translates as “full of ingenious difficulties”. It seems the original word was cut by the “book binder’s knife”. The Greek expert says the difference between the sense of the two words is nothing more than a “systematic, artificial and erroneous ‘Spanishisation’”, while the most important aspect is that El Greco’s annotations “have a very oral component – he writes as if he were speaking, and we have never before seen him defend Byzantine art in such a vehement way”. A second part to Hadjinicolau’s work, again preceded by Marías, focuses on another annotation attributed to El Greco and hand written on a copy of The Ten Books of Architecture by Vitruvio. In this note, Nicos Hadjinicolau says the painter “shows obvious pride in his ‘Greek fathers’, as he calls the ancients, but believes they had been outdone in modern times”. Nearly everything that is known today about Doménikos Theotokópoulos is based upon interpretations. El Greco is considered one of the most important painters in the history of the Western world, and his career, which alternated between the Byzantine style of Crete and the mannerism of his latter years in Toledo, has been and still is the subject of much theorising by experts. El Greco, despite embracing the spirit of the Counter Reformation in his painting, continued to include many elements stemming from Greek tradition (today known as Byzantine) during his final period in Toledo. In pictures such as El Expolio (‘The Disrobing of Christ’), the painter makes use of Byzantine iconography, although Hadjinicolau does not believe this was necessarily done consciously. “El Greco lived for 26 years in Crete. He had a studio and pupils. These things cannot be taken in isolation, and the iconographic elements from Byzantine culture that appear in Orgaz or El Expolio are independent of the defence we perceive in the annotation,” he says. In spite of this, the researcher, who has written works such as El Greco: Byzantium and Italy and El Greco: Works in Spain admits that “it is clear, since this is the same person, that there is a link between what he says and what he paints”. 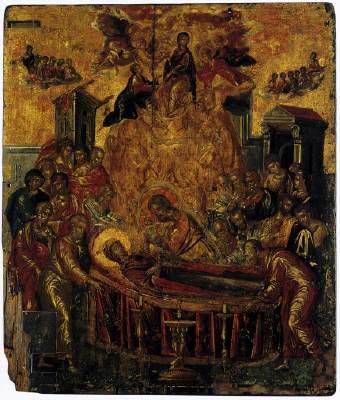 The Dormition of the Virgin (before 1567, tempera and gold on panel, 61,4 × 45 cm, Holy Cathedral of the Dormition of the Virgin, Hermoupolis, Syros) was probably created near the end of the artist's Cretan period. The painting combines post-Byzantine and Italian mannerist stylistic and iconographic elements. 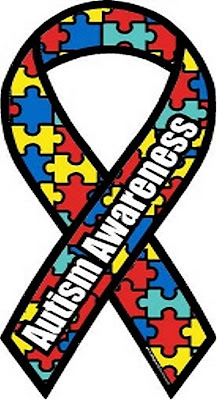 The U.S. Court of Federal Claims has found no link between autism and vaccination. In 2009, in a stunning trio of decisions, Special Masters have concluded that no credible evidence exists that MMR (measles/mumps/rubella) or thimerosal-containing vaccines can combine to cause autism. In 2010, in three more cases, the Special Masters concluded that the thimerosal itself was not a causative factor. The decisions also criticized doctors who base their treatments on these notions. More than 5,000 families who claim that vaccines caused their children to become autistic are seeking compensation under the National Vaccine Injury Compensation Program (VICP). The decisions came in six cases selected to "test" how similar cases should be handled. 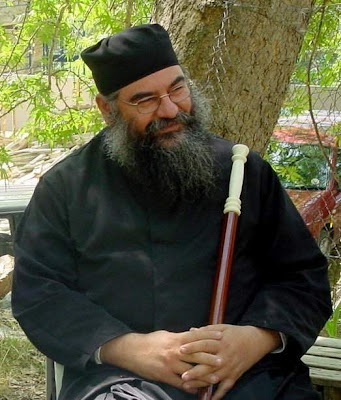 Archbishop Theodosios: The facts on the ground say exactly the opposite, as more and more Muslims and Christians are having great difficulties in entering the city. We see thousands are denied the entry to their holiest sites. The Israeli authorities are even preventing the Arab Jerusalemites from entering the Holy Sepulchre and the Aqsa Mosque on major religious feasts. It is very apparent that the Israelis want Jerusalem to themselves and they do not want to share it with others. It is a big pity that the city of peace, which symbolizes brotherhood and love, to be transformed into a symbol of hatred and division because of Israeli actions. EH: How has the Israeli Occupation affected Palestinians living in the West Bank and their right to worship and visit the Holy Places in Jerusalem? What is the importance of Jerusalem to the Palestinians? Could there be a State for the Palestinians without Jerusalem as its capital? How have Israel development projects changed the features of the Holy Land? AT: Let me be clear on this subject, there will be no Palestine without Jerusalem as its capital. It is ridiculous to imagine Palestine without Jerusalem, because it beats in the heart of every Palestinian. In addition to that, Israel tries to change the features of Jerusalem through its development projects like the light train, the malls or the parks. They are trying to make the Palestinians foreigners in their own city. According to international law, Jerusalem is still an occupied city, thus it has no right to change anything in it. Whatever was the final agreement between the Israelis and the Palestinians, the Palestinians should have the free right to enter their city without any restrictions, and also they must have the right to live in it, build their homes and reside in it without the interference of anyone. The Palestinians in Jerusalem are in their city and country, not a stranger. The treatment of the Palestinian as a outsider is by itself a racist action. AT: First of all, I should stress on the fact that the Christian Palestinians were here since Jesus times, where in the Books of Acts in the Bible it was mentioned that there were Arabs listening to the Apostles in Jerusalem. Christian Arabs had and still have a big effect in the development of the Arab societies in the Middle East. We are not visitors or strangers to Palestine. Our history is deeply rooted in this area of the world. On the other hand, our numbers are dwindling due to the occupation and the bitter reality it is causing. But we are not afraid that Christians will disappear from Palestine, because there will be always Christians in Palestine to continue the message of Jesus Christ. EH: Mainline Evangelical Christians in the U.S. and western countries believe that the emergence of the State of Israel is promised by God. They support Israel financially. What is the Orthodox Church’s position on this matter? I am very sorry to hear about some religious groups in the United States that support the Israeli Occupation of the Palestinian territories. Such support cannot be justified from a Christian point of view because Christianity is against any sort of occupation and the injustice in all its forms and rationalizations. For those who use the Bible to support Israel need to differentiate between God's promise and the Balfour promise (Balfour Declaration), because the occupation is the result of a promise given to the Israelis by Lord Balfour and not by God. AT: First of all, I want to stress on the fact that the wall is illegal, even the highest court system in the world declared that it is illegal, thus our duty as humans is that we have an obligation towards our brethren to dismantle this rascist wall. The purpose of this wall is simply to cut Palestinians from their neighbors, family and land. A proof of that is the inhuman checkpoints, where if a person who wants to visit his/her relative in Jerusalem, is not allowed to enter, and if by some miracle he got permission, he has to pass these awful checkpoints where he is treated in a very humiliating way. I do not think security reasons have to do anything with it, especially since 62% of the wall is done. It is just an excuse to take more land illegally and separate Palestinians from each other. EH: Israeli and the Western press is demanding that Hamas release Gilad Shalat, yet hardly anyone mentions the thousands of Palestinians held as political prisoners? Can you tell briefly the situation of Palestinian political prisoners? AT: There are about 11,000 political prisoners in Israeli jails, a quarter of the Palestinian people at some point or another were in prison since 1967. This is a big number. It is sad that the international media does not bring it to light. These are people who fought for a just and right cause, and at the same time they are treated in the most inhuman ways a person can imagine. The duty of every free person in the world who believes in human rights, and who believes that all humans were born equal to stand beside them. Not to mention the biggest prison in the world is the Gaza Strip. There are a million and a half living in Gaza. We pray and ask every free person in the world to work for the release of the people in Gaza. AT: It is a very sad incident that we will never forget. The brutality of the Israeli forces is expected. Whenever people try to show the dark side of the Israeli Occupation and situation in Gaza, they try to shut their voices down. Our condolences and thanks for the Turkish government and people who stood a very brave stand toward our people. EH: For the past 62 years, Palestinians who were expelled from Palestine, have been living in refugee Camps in Gaza, West Bank, Jordan, Lebanon, and Syria waiting for the right to return to their homeland. What message of hope, would you give to these refugee’s. AT: I say to all the Palestinian refugees they should still not give up their right of return. It is a right that could not be cancelled by time. It is a human right because every Palestinian refugee should return to his/her home. Do not lose hope because our cause is a just one and the person who was wronged in a way or another should not be desperate, but we should still claim our rights where we hope that one day it will be soon “Enshaala” (God Willing) that every Palestinian could return to his/her home. Elias Harb: Thank you Sayidna (Your Eminence). 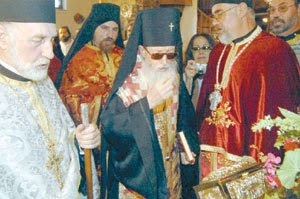 This photo depicts the episcopal enthronement of Metropolitan Augoustinos Kantiotis. 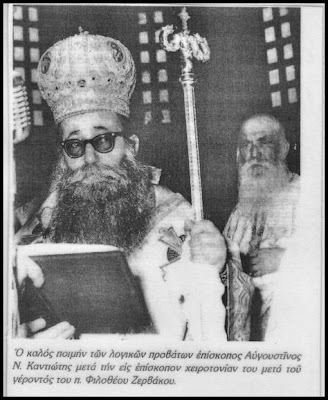 On 25 June 1967 he was enthroned as Metropolitan of Florina. On 14 January 2000 he retired. On 28 August 2010 he reposed. Behind him is the renowned Elder Philotheos Zervakos, student of St. Nektarios of Aegina. Both Metropolitan Augoustinos and Elder Philotheos were from the island of Paros. The relics of John the Baptist that have been recently discovered in the Bulgarian Black Sea resort town of Sozopol have already worked one miracle, the locals have spread the rumor. Dimitrov said Thousands came to Sozopol, where the relics of St. John the Baptist were recently uncovered, on the day the Eastern Orthodox Church marks St. John’s martyric death. Pilgrims included not only holidaymakers in and around Sozopol, but also people from across Bulgaria, as well as Romanians, Russians and Georgians. On August 29 the Eastern Orthodox Church commemorates the day King Herod ordered St. John the Baptist’s head cut off at the behest of his daughter Salome. 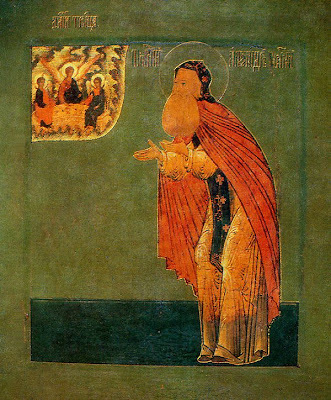 St. John the Baptist is especially venerated by the Eastern Orthodox Christian Church. The principal day of veneration of the saint is January 7. A fount sharing in the life above. On the thirtieth Vryaini was led into heaven. 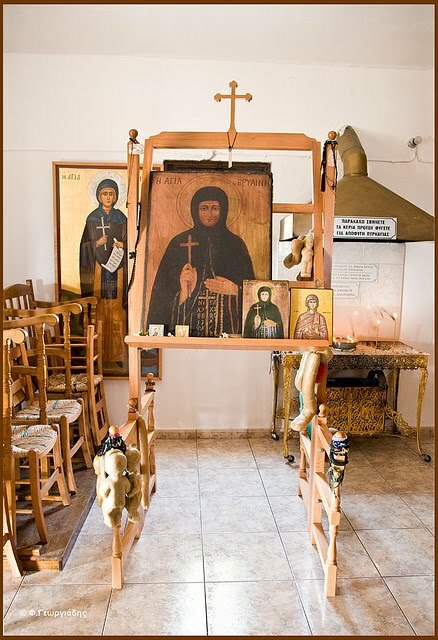 The little known saint known as Saint Vryaini, also known as Vryoni, has a small chapel dedicated to her in the Mandria area of Paphos, Cyprus. She is known solely through her chapel, which is the only one in the world dedicated to this Saint. Until 1963-64 the village of Mandria in Paphos was a mixed village, inhabited by both Greeks and Turks. In 1960 the village had 404 inhabitants. The Turkish Cypriots amounted to 329 and the Greek Cypriots to 79. With the bi-communal clashes between Greeks and Turks in Cyprus in 1963-1964, the Greek inhabitants left the village and the village became a Turkish enclave while Greeks could not go there. In 1974 the Turkish Cypriots left and went to the occupied areas. The village was settled by Greek Cypriot refugees who came from the north. 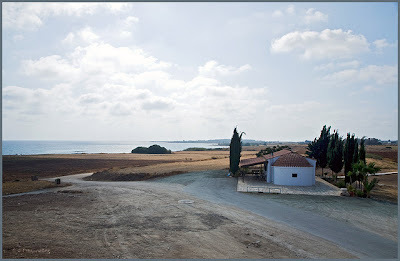 The village is next to the sea and close to the city of Paphos. 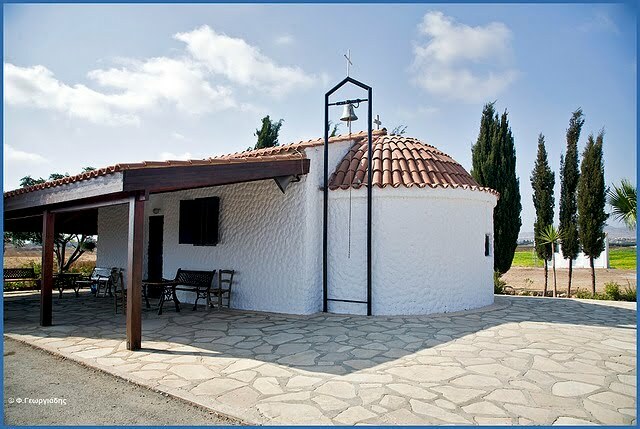 It is also one of the most productive villages in Cyprus. 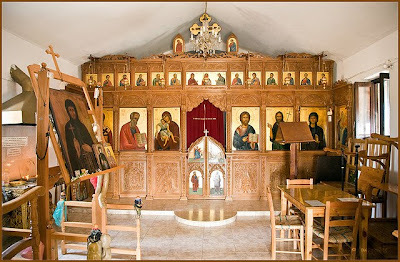 The village had a church dedicated to Saints Andronikos and Athanasia (which has now been rebuilt), and five chapels dedicated to Saint Heliodorus, Saint Evresi, Saint Evlogius, Saint Angona (Arkona) and Saint Vryaini or Vryoni. After 1963, when the Greek Cypriots left and the Turkish Cypriots remained, they were all destroyed. None of all these chapels remain any longer except the Chapel of Saint Vryaini which has been rebuilt by a refugee family from the village of Assia, after visions, when the Saint showed where the ruins of her chapel were situated. The Chapel of Saint Vryaini was attacked three times by the Turkish Cypriot inhabitants of the village. In 1975, along with the refugees who came to Mandria after the Turkish invasion there was also a woman from Assia, Mrs. Stavroula. At that time, nothing had remained in the village to remind people of the chapel, whose ruins were hidden under the earth. However, one night, a woman clad in black presented herself to Mrs. Stavroula in her sleep who indicated to her a spot near the sea. While pointing out the spot she told her: "You see this foundation? A chapel is to be found there. Go and find it." The next day she went to the place she dreamed about, and after digging the earth she found the foundations of the old Chapel of Saint Vryaini. In 1986 the inauguration of the new chapel was made. 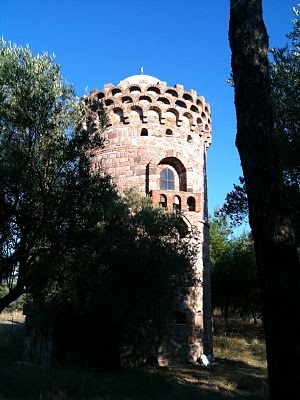 It was built high on a hill above a cave south of the village. One of the most famous legends concerning the origins of the Chapel of Saint Vryaini recounts that while a boat was located off the coast of Cyprus, a great storm suddenly broke out. Looking for a shelter to save his ship, the captain approached the coast. But the tempest drove the ship to Mandria. 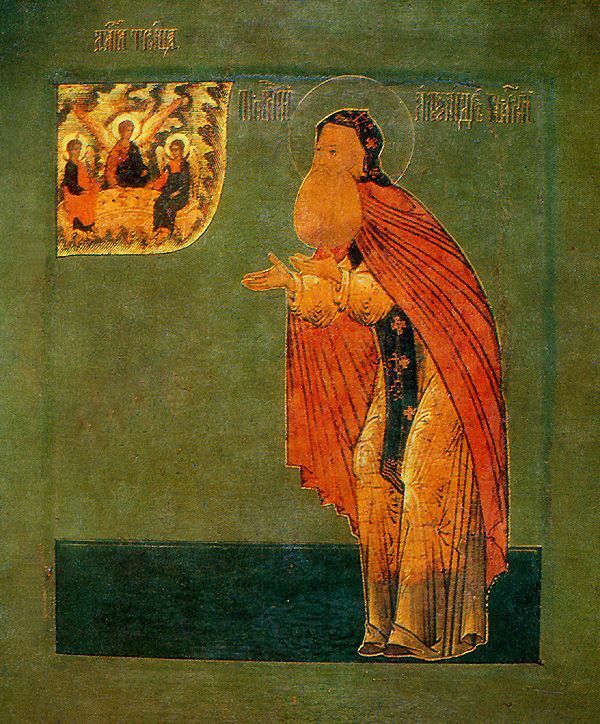 The captain and the sailors of the ship were aware of the risk of crashing on the rocks, and begged before the icon of Saint Vryaini, which was kept on board, to save them. They even promised that if the Saint saved them, they would build a church in her honour. Saint Vryaini heard the prayers of the seamen and the storm abated. The captain, in order to show his gratitude for being saved along with his men, kept the promise he made and built a small chapel in the name of Saint Vryaini near the sea. Saint Vryaini seems to be very miraculous, since with her various miracles, year after year, the number of her pilgrims increase significantly. In the community of Mandria, Saint Vryaini is greatly honoured, since she has saved the lives of many people, even those with cancer. The memory of Saint Vryaini is celebrated on August 30th where there is also a feast and many believers come to her chapel this day, not only from the community but also from the surrounding area, to pray to her. The faithful also come daily to light a candle and pray. With the wings of the virtues you were lifted up, to be like-minded with the Angels through your way of life, and you destroyed the counsels of the enemy, wherefore you showed yourself to be a communicant of the glory of Christ, Venerable Mother Vryaini, cease not to entreat Him, to have mercy on our souls. Saint Luke the New Martyr of Adrianople was martyred in Mytilini on 23 March 1802 at the age of 19. The translation of his miraculous relics is celebrated on August 25th. Papa-Foti built a church dedicated to St. Luke in Mytilini and on August 25th the 6-month anniversary of his repose was remembered. Papa-Foti had a great devotion to St. Luke, and especially celebrated his feast day in August because his primary feast fell during Great Lent. After the Divine Liturgy he would always serve food to all the faithful. This tradition was kept this past year by Papa-Stavros who now serves in the church. 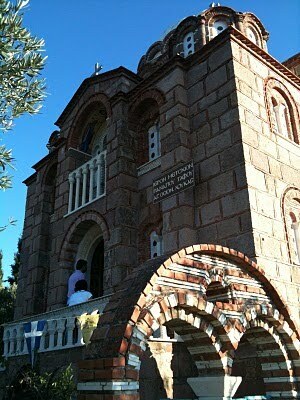 Papa-Foti built this church with his own hands on the spot where St. Luke slept the night before he was martyred. "One summer night I was sitting in the lower church to do my canon with my prayer rope. Suddenly in the darkness the church was filled with light which was coming from the Altar. I looked towards there but it was too bright. I thought perhaps it was a car of someone whose headlights were shining inside the church. I went outside to tell them, but... nothing. Everywhere there was darkness. But on the other side the light spread more throughout the church, at which I thought, see, Saint Luke is passing by here and he came to tell me to have a good evening. Who am I to say what he should do? He is a Saint, he can do whatever he wants. What could I do blessed one? To transmit to the world the wonders of the Saint to make him a shrine? God forbid this should come from me!" Such was the humble and meek nature of the Holy Priest. Whatever he said about himself he would try and ruin your thoughts about him. We crossed the Svir River, arriving at the renowned Monastery of St. Alexander of Svir. The Monastery is composed of two separate clusters of buildings. The older section no longer functions as a Monastery, but rather as a mental hospital. The newer section is renovated and well equipped. 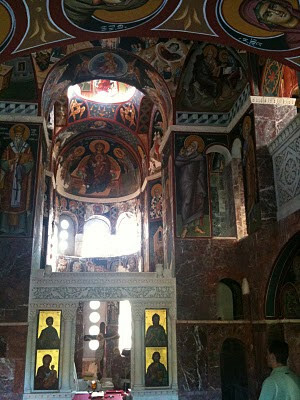 It has an enormous interior courtyard with a free-standing Katholikon [main church] in the center. From the guided tour given to us by one of the monks, we will relate the most salient points about the history of the Monastery and the life of St. Alexander. 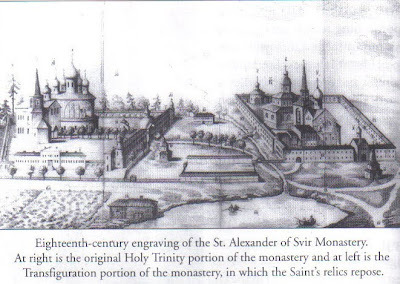 St. Alexander built the Monastery in the sixteenth century, after initially living for quite some time as a monk at the Monastery of Valaam. Following a Divine command, he left Valaam and came here, to the region of the Svir River. He was a man of great faith and virtue; indeed, he was counted worthy of beholding the Holy Trinity. Everyone acknowledges that few have been vouchsafed such a vision of God in their lifetimes. He gradually built the Monastery, which he dedicated to the Holy Trinity. Innumerable souls lived here as monastics and found their salvation near him. Many of these have been proclaimed Saints. St. Alexander reposed in 1533. Throngs of believers began to flock to his grave, many of whom were miraculously healed. The Monastery was destroyed by German and Lithuanian invaders in 1628. It began to be rebuilt later; shortly after this, the incorrupt Relics of the Saint were found among the ruins. 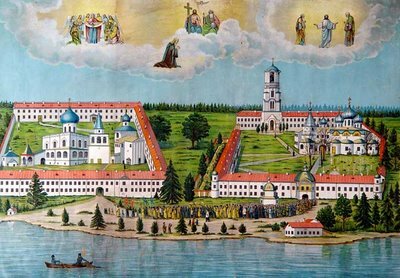 The Monastery underwent further tribulations during the reigns of Peter the Great and Catherine II, but it also experienced an extraordinary spiritual blossoming in the nineteenth century through the disciples of the great St. Paissy (Velichkovsky). In this sanctified place, the Abbot Evgeny and five other monks received a martyric death in 1918. The third day of Pascha, a group of Red Army soldiers entered the Monastery with blasphemies and curses. They peremptorily demanded that Abbot Evgeny, the sacristan, and the guestmaster hand over the keys to the Monastery sacristy, with the obvious intention of plundering whatever valuables they could find. The Fathers tried their best to reason with them, so as to dissuade them from their intention and to protect the Monastery property. Not only were the soldiers not persuaded, but they instead became even more enraged. Without any delay, and with summary procedures—something very typical of the time—they condemned them to death. First, they ordered the six Fathers to dig their own grave: a large pit in the middle of the Monastery courtyard, towards the right. When the Fathers had finished digging, the soldiers stood them next to the pit. The firing squad took position. At this tragic moment, the condemned Fathers asked for a favor: that they be allowed to chant “Christ is Risen.” Possessing no such sentiments in their hearts, the “Red” soldiers refused. The Fathers then quickly began to chant “Christ is Risen,” but the firing squad did not allow them to finish. Successive shots were heard and the Fathers fell dead into the pit. And something strange happened. The guestmaster had a long black beard, which instantly turned white when he was standing in front of the pit! A certain Karelian Novice, John, who was hiding in the attic, saw and related all of these things. The Monastery of St. Alexander shared the same fate as the rest of the Monasteries in Russia. It was closed and used for other purposes. At first, it was turned into a “pedagogical technical institution,” in order to justify the seizure of its extensive library and other valuables, and then into a concentration camp. A rock crushing facility was also created, where the unfortunate prisoners were worked ruthlessly. 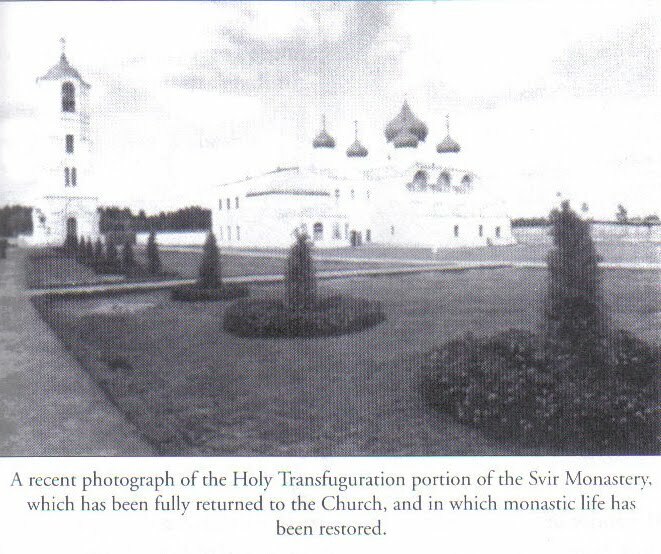 In 1995, the Monastery re-opened and the first monks settled in. Ten monks live here today, with Archimandrite Lukian as their Abbot. 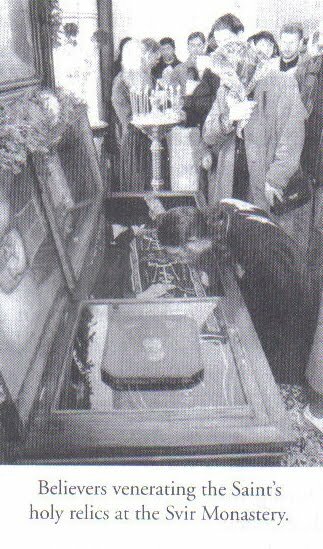 From the moment that the monks arrived, they sought the Relics of St. Alexander. 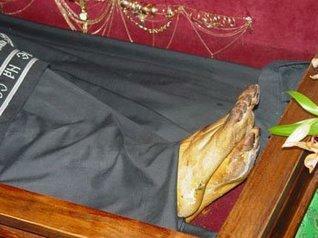 Fortunately, the Holy Relics were found at the Military Academy museum, where there was a museum of mummies. The monks asked to take the Holy Relics, but the Directors of the museum refused, under the pretext that the body had been embalmed: it was a “mummy,” like all of the others in the museum. The monks insisted, explaining that the body had not been embalmed. It had been found miraculously incorrupt several centuries earlier, and this incorruption was not attributable to human science. This was why his intestines had not been removed, as in the body of Lenin and other mummified bodies. In the face of the persistent refusal on the part of the Directors, the monks offered to bring an X-ray machine and to take radiographs. The Directors agreed, the body of the Saint was submitted to radiography, and the truth was established. The innards of the Saint were untouched, and consequently he had not been embalmed. The Directors of the museum were astonished and yielded to their request. Thus, after seventy-nine years of exile, the Saint returned to his Monastery in 1997. We venerated the Relics with deep emotion. “Truly wondrous is God in His Saints.” We then visited the older Monastery, dedicated to the Holy Trinity, which is located very close to the newer one. The greater portion of it is a mental hospital, whereas the two churches and the other buildings are undergoing initial renovations. We entered the old Katholikon, which was built in the seventeenth century and is dedicated to the Holy Trinity. The Church had contained Iconography, but it was whitewashed to cover up the frescos. 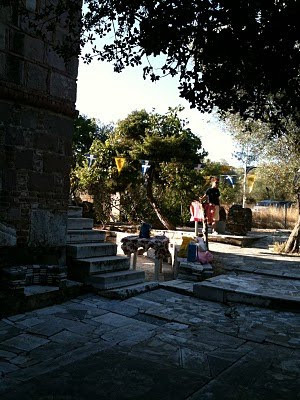 We thanked our hospitable monastic guide and left for Olonets, where we stayed overnight. Source: Kentron Neotetos Thebon (Archimandrite Nectarios Antonopoulos), Russia and Finland: A Travel Chronicle [in Greek] (Athens: Ekdoseis “Akritas,” 2004), pp. 380-385. This relevant homily (in Greek) by His Eminence Metropolitan Athanasios of Lemessol was delivered at the Holy Church of Saint Demetrios in Patras. "Discernment originates from humility; only a humble person has discernment", says the Metropolitan. Only those who are full of pride seek answers which confirm their own opinions that are contrary to that of the Church and are not grounded in humility and love. 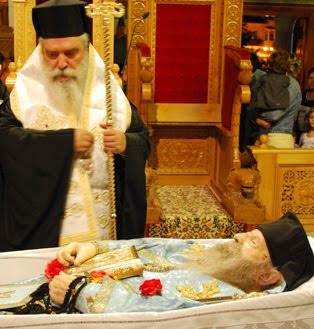 Thousands of faithful from all over Greece gathered this past weekend to pay their last respects and for the funeral of Metropolitan Augoustinos Kantiotis at the Metropolis of Saint Panteleimon in Florina. 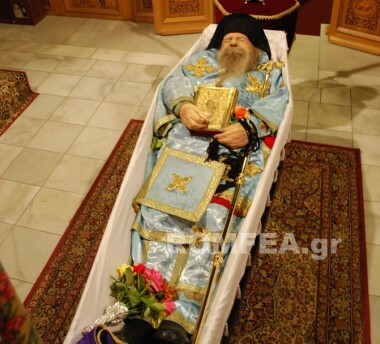 The funeral took place this morning, 30 August 2009, following a Hierarchical Divine Liturgy. 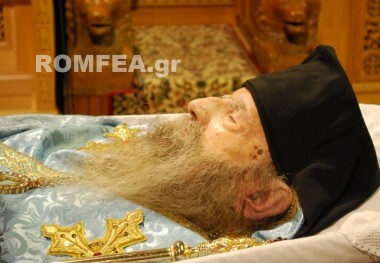 He will be buried at the Holy Monastery of Saint Augustine in Florina. "The Blessed Metropolitan of Florina, Mr. Augoustinos, was a unique personality with much dynamism, a man of learning, with many struggles. He will be a person of history of whom many things will be said for and against. From my own personal perception he was a man that is difficult to meet in life regarding his dynamism and his living example of struggle. Today we feel sadness because the Church owes him much. May God rest his soul and may we imitate him in whatever good he had, and he had much."